Peter Frampton was, unfairly, a guilty pleasure to loads of folks for years. Once he hit the big time it was uncool to like him. Not me. I loved The Herd, and was loyally into Humble Pie. That was a funny one actually. Here you had a signature member of The Herd and Steve Marriott in the same band. If you’re an Anglofile, you give them rope. Their early stuff I liked even though it leaned toward the extended blues rock sludge setting in at the time. Live, they were on fire. Luckily, I saw them open for Ten Years After on that first US tour, not yet Americanized in any way, still kitted out in lime or purple velvet and silk trousers etc. Glued to the edge of the stage in the Livestock Pavilion on the Syracuse State Fair grounds, overjoyed by the fact that we were seeing members of The Small Faces and The Herd, was half the thrill. 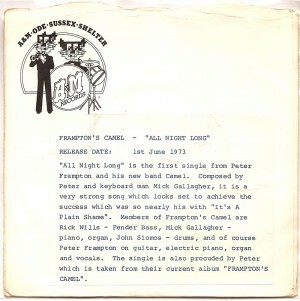 Then Peter Frampton went solo. 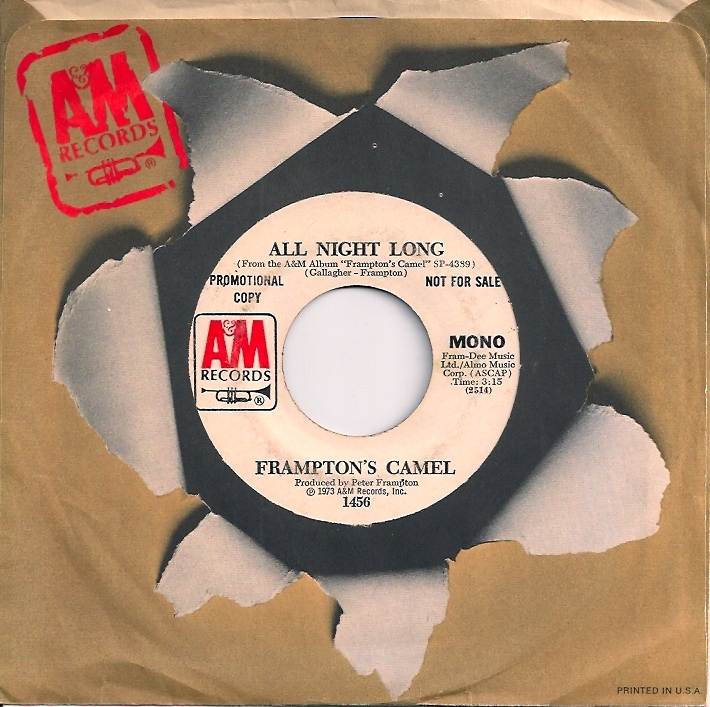 His second, post Humble Pie release was issued as Frampton’s Camel. He’d shed that Humble Pie heaviness. The album didn’t sell. 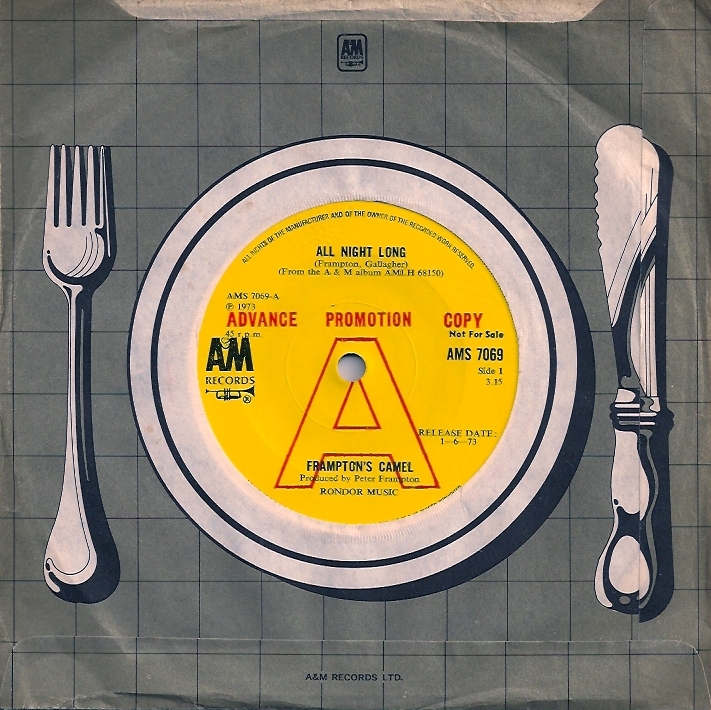 I never heard it anywhere at the time, although the single ‘All Night Long’ got a lot of daytime BBC Radio 1 play that summer ’73 I’d spent in London. It was a perfect seasonal single and has sentimental value. 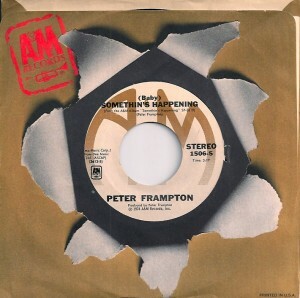 For the record, the follow-up album, SOMETHIN’S HAPPENING, went fairly undiscovered too. 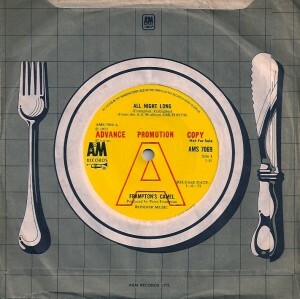 He toured that record with former band mate Andy Bown, from The Herd, on keyboards. 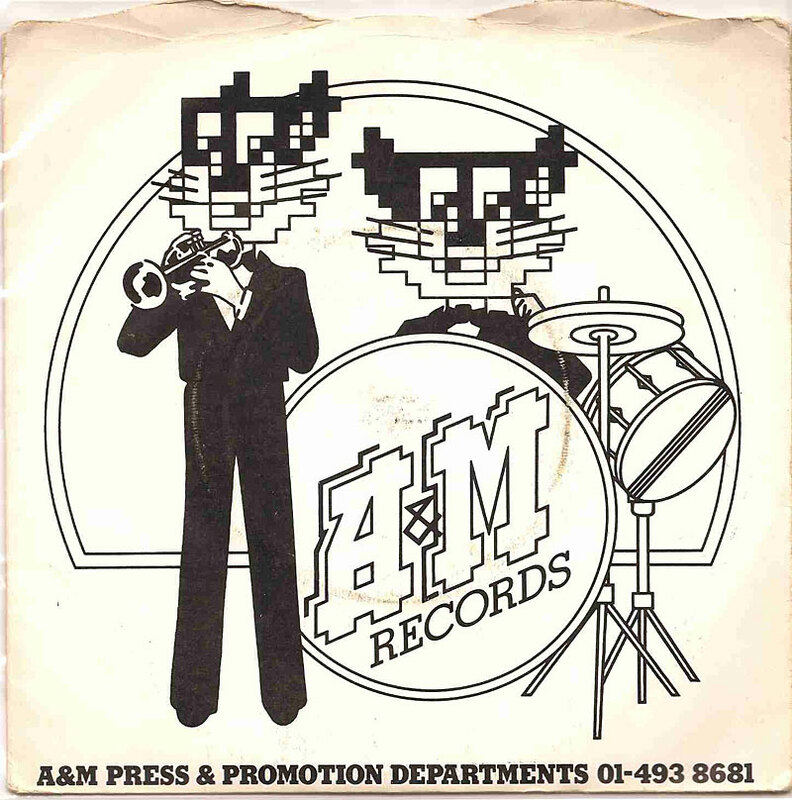 Rich Packter, the A&M promotion guy during summer ’74 had set Corinne and I up with Peter and Andy for lunch at the then turquoise and pink circular Holiday Inn restaurant in Downtown Syracuse. 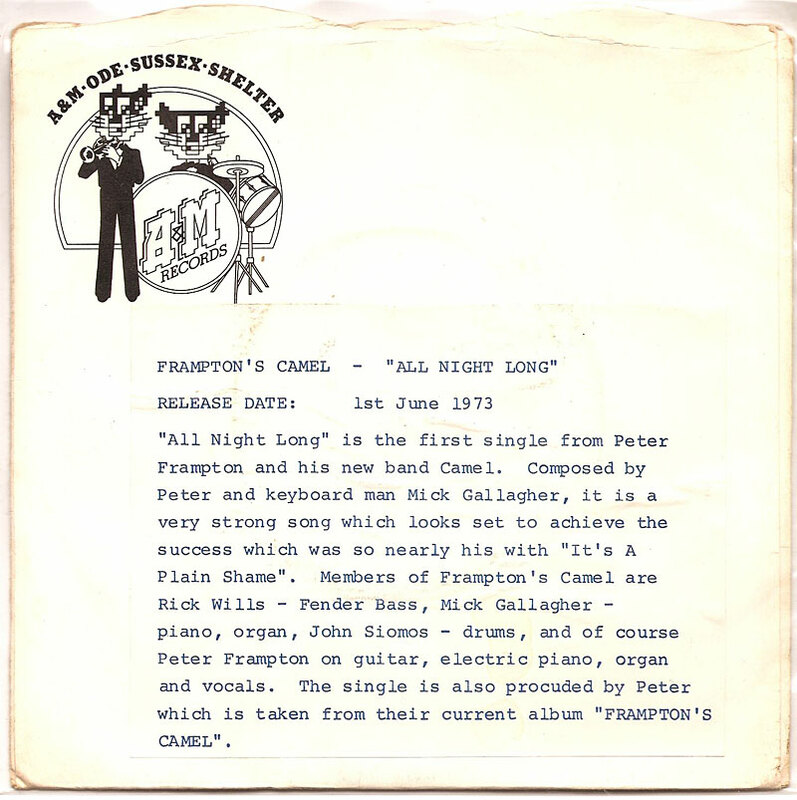 Frampton’s Camel were opening for Uriah Heep that night. We both worked at Discount Records, so I’m guessing Rich could justify the meal. As far as we were concerned, this was lunch with The Herd. It was great fun picking their brains about the past. They both laughed non stop at all my questions, in a most flattering way. And I’m sure Andy Bown was genuinely surprised at the attention. Peter didn’t seem to mind one bit that when push came to shove, these two crazies were there to meet Andy Bown. So yeah, SOMETHIN’S HAPPENING is a gem too. 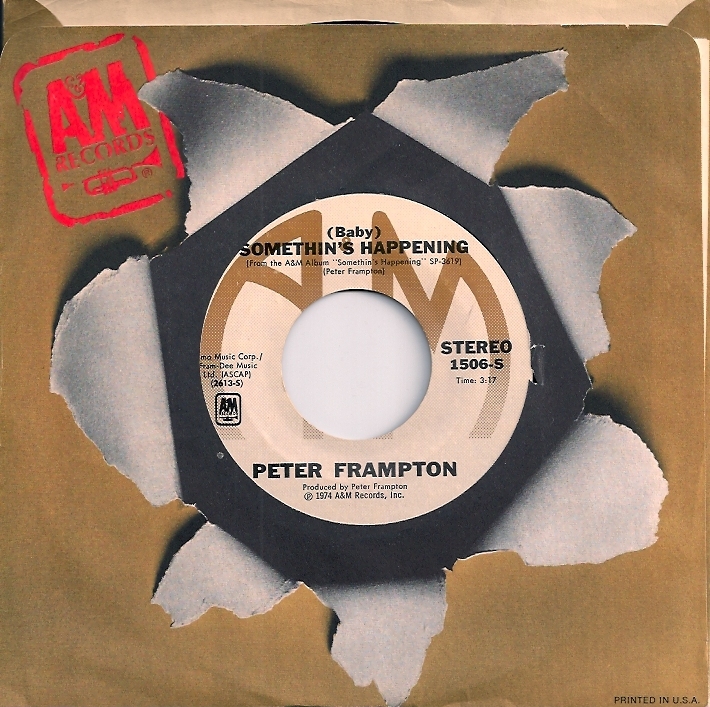 Soon after, Peter Frampton’s deserved home runs began. The industry calls this process artist development. I call it finally getting a fair shot at radio. 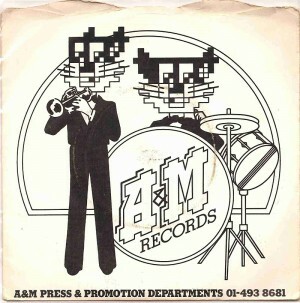 This entry was posted on Wednesday, November 24th, 2010 at 12:01 am	and is filed under A&M, Andy Bown, BBC Radio 1, Discount Records, Frampton's Camel, Humble Pie, Peter Frampton, Rich Packter, Ten Years After, The Herd, The Small Faces, Uriah Heep. You can follow any responses to this entry through the RSS 2.0 feed. You can leave a response, or trackback from your own site.